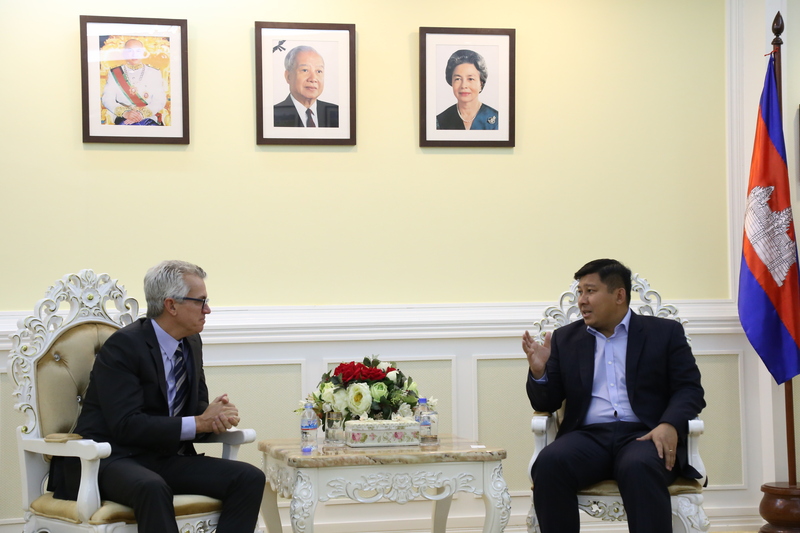 WWF-Cambodia had the honour of receiving some very esteemed guests recently. 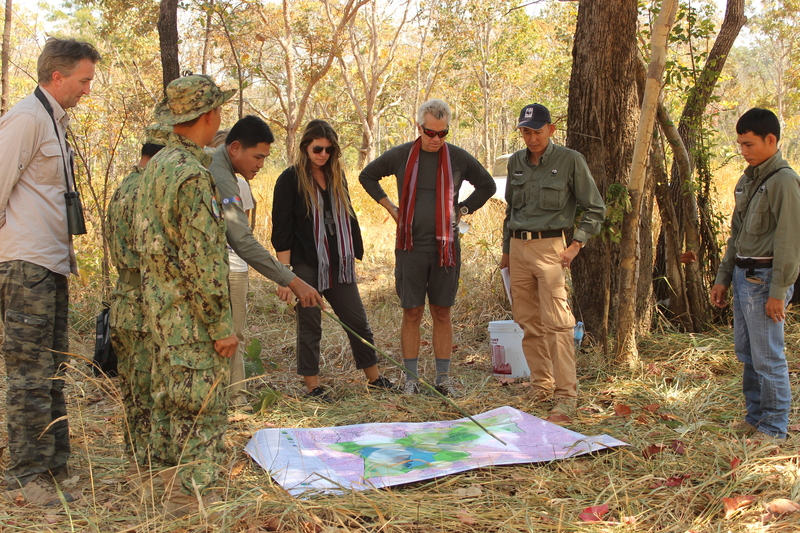 Mr. Matthew Harris and his wife Jennifer Harris, founders of the Bedari Foundation, made a trip to Cambodia from the United States to better understand the conservation programme and discuss future support for the tiger reintroduction programme. They had a packed itinerary. 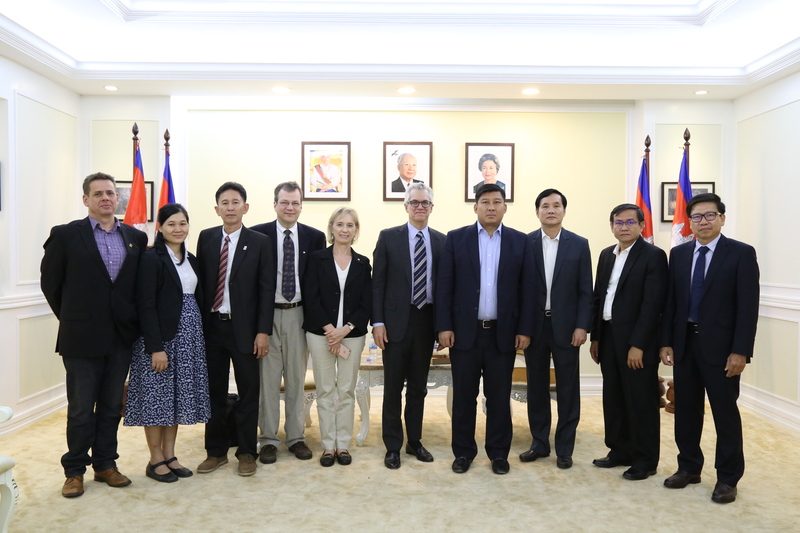 On the 6th of February they met with H.E Say Sam Al, Minister of Ministry of Environment, along with the WWF-Cambodia team to discuss the Tiger Reintroduction Programme, especially with regard to policy implementation and government support. The Minister welcomed the tiger reintroduction programme and discussed the achievements of the Ministry in achieving environmental protection for managing natural resources, biodiversity conservation and sustainable development. He stressed that the improvement of community livelihoods and creation of tourism opportunities are keys to biodiversity conservation. “We at WWF believe that there is hope for our flora and fauna. 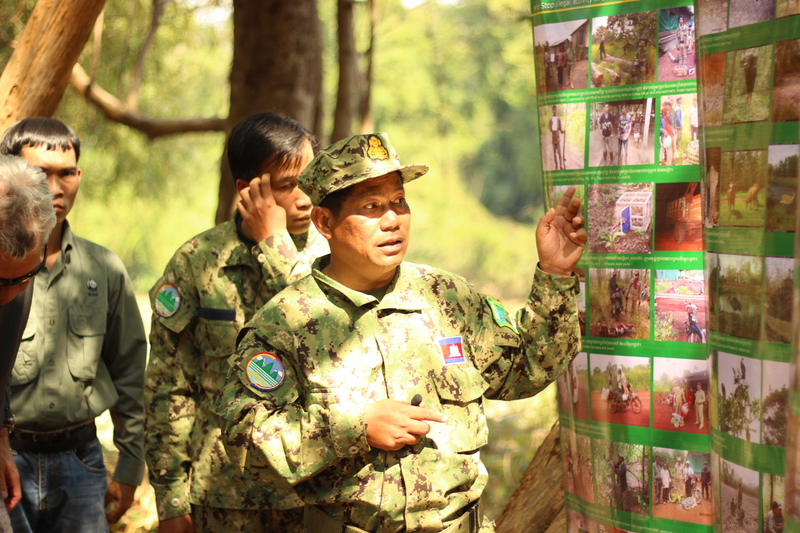 We wish to enable a harmonic balance between man and nature by implementing a comprehensive conservation initiative across the region,” said Chhith Sam Ath of Country Director of WWF-Cambodia. The following day, the guests flew down to Mareruch, our Ranger Station deep within the Srepok Wildlife Sanctuary. They flew over the pristine and preserved forests of the Eastern Plains Landscape and appeared delighted by how beautiful it was. Upon arrival, they were given a briefing by the Landscape Manager, and they went to check the camera traps at a nearby waterhole to see the animals that inhabit the forest. They also met the rangers, researchers and the EPL team. The guests joined the rangers for lunch and discussed various topics, from hunting pressure and protected areas management to the stories of local community members who actively contribute to conservation. After their memorable experience in the forest, they flew down to the Mekong Flooded Forest and stopped at the Kampi Dolphin pool. They saw endangered Irrawaddy dolphins and the conservation efforts underway by WWF-Cambodia to protect this rare species. They flew back to Siem Reap that evening and have stated that they are very pleased and impressed by the initiative WWF Cambodia has taken and how much has been done to further the cause of conservation.